Why are there so Many More Shark Attacks? In 2004 16 year old, J.P Andrew's leg was ripped off by a great white shark at surfer's corner in Cape Town. He survived and has an amazing attitude, but this was just the start of more attacks that lay ahead in this part of the region. There was an attack the other day in Florida. This was a case of a couple of stitches. There is no doubt that every attack is one that leaves you with a huge amount of trauma, but you are definitely lucky if you only have 17 stitches to show for the scary incident. Some say that may be more like a graze. South Africa and Australia come out tops in the amount of attacks on record - nothing to be proud on. Of course, it's not going to keep us surfers out the water. J.P is back on a bodyboard. Are There More Sharks in the Water? Some people have a very simple answer by either saying there are more sharks or more people. Actually, you will be surprised to hear that there are a lot less big fish swimming around. In fact, the Great White Shark is now an endangered species. This comes down to human interaction. This is not the only shark that is reducing in number and this comes down to the popularity of shark fin soup. Thousands of sharks die for the love of their fins. Sadly the rest of the body is left to rot away. If you look around you, you will find a lot more commercial activity. There have been dozens of theories and at the end of day we end up going around in circles. At one stage people were saying you should wear bright wetsuits, but come on, if the shark is curious about the kind of pray out there, it's going to go for it. The way a shark explores is by biting and so if you are dangling your fingers off your board whilst waiting for the perfect wave and you are in the shark's path, well, then unlucky for you! Some say there are a huge build up of seals in some areas where there are a lot of attacks. Others put blame on the shark cage diving saga, which you have to say is not doing a lot of good for the surfing community. Dragging a piece of meat behind a boat and teasing a shark like that is just plain cruel. The statistics have definitely risen when you look at the number of shark attacks on surfers, especially. Most people have said this has come down to human interference with their natural habitat. You can definitely understand that theory. Unfortunately sharks have been displayed in a negative light in the media. We start off with a movie like "Jaws", but if you think about it, this is their territory just like a sting ray or a deadly stone fish which can kill you in a flash. Well, like I said before, it's pure curiosity for one thing. So they will get a taste and spit it out because they are really not into human flesh. This is known as a hit and run - have a taste and move on and this is what the majority of sharks will do. It has actually been said that a shark can mistake a surfer for its prey. Sharks are quite fussy when it comes to their food and are looking for a little bulk to their pray. Humans won't do in that department. 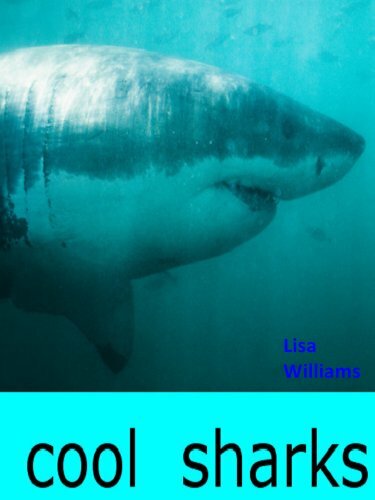 The fatal bites will happens when the shark just keeps on going to see if it can get something descent. So it will bite the arm, then the chest. People who die from shark attacks often bleed to death. When you hear someone was killed by a shark, it doesn't mean that they were eaten whole, but they died from the wounds. You can also go into cardiac arrest from the shock or swallow so much water in the process so there are tons of other complications as well. If you see a shark coming straight for you, there is no way that you swim away or fight it. Don't even try that. There have been people who have survived with a couple of stitches and a bust board after feeding the shark with the board. If you can think like that when you are frozen with fear then you will go far. Don't surf after the sun goes down. If you have cut yourself then sort it out. Shiny jewellery is not a good idea. We all know these rules. You can even get a contraction these days for safety sake. A shark leash will give any shark a nasty shock. A lot of surfers complain that these are a bit heavy, but I guess you won't be saying that when you see a fin in the water. Surfers who constantly surf at the river mouth are the ones that show up on the front page of the newspaper as being involved in a fatal attack so keep this in mind.